Swansea City ended Middlesbrough’s 100% home league record today with a well-earned goalless draw against Tony Pulis’ side. It was Swansea’s toughest away trip of the season so far given their 100% form at home and their start to the season that got them into the top 2 but Potter’s tactics were well prepared once again as a number of the host’s shots from off target from distance. Swansea’s lack of attacking creativity remains a concern as we rely yet again on a clean sheet to get us a point. It almost worked at Stoke on Tuesday night but for an offside winning goal. It was another solid performance at the back. van der Hoorn made 5 of the team’s 13 tackles in the game and Joe Rodon was dominant in the air, winning 8 of our 24 aerial challenges. McBurnie was second for aerials won with 5. 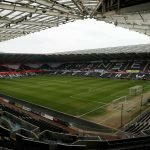 Swansea City played a more patient, passing game of football and after around 20 minutes in the first half, they had 75% possession with 2 shots on target. However, not another followed and this is becoming an on-going weakness for us. We’re really missing the likes of Celina and Fer to add quality in the middle but we’ve still got no backup striker available. For the second game running – and for only the second time this season, we averaged 80% pass success rate at Middlesbrough. George Byers had a 100% success rate but was taken off at halftime for Tom Carroll after making 17 passes in the first 45 minutes.